Located on the Konkan coast, Goa is a state in western India that gets plenty of tourists every year. It was ruled by the Portuguese for about 450 years and was liberated by the Indian army during 1961. Besides its beautiful sandy beaches and majestic places of worship, travellers visiting Goa can find some places that have some of the most pleasant natural surroundings. 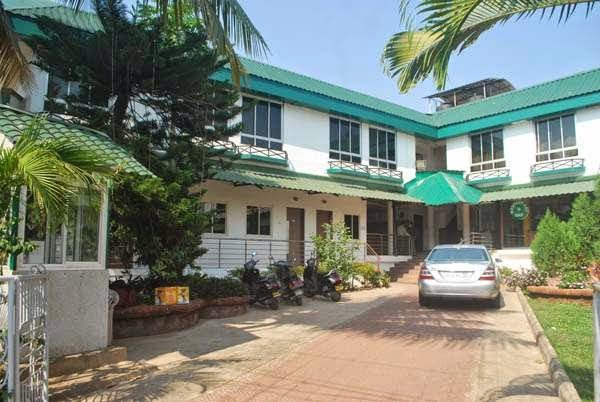 Having an accommodation in Goa during their vacation would be of great help for tourists in getting to such place. Panjim, the capital city of Goa, have certain tree-lined promenades and avenues that are worth exploring for tourists. They can enjoy pleasant walks during early morning or early evening at these places. Although any of the roads in Panjim is good for walks, there are places like the boulevard along Campal Miramar stretch and shopping areas of 18 June Road and M.G. Road. Altinho is a wonderful hill neighbourhood of the city, where both leisure tourists and honeymooners can have an excellent time. A stay in one of the best beach resorts in Goa, Graciano Cottages, can be of great help in getting to these places. Our resort offer rooms and suites that are provided with the latest facilities for our guests. Best time to visit Goa is between the months of November and March, when the weather of this region is at its best. Booking your accommodations well in advance would reduce the Goa hotel tariffs to some extent. We provide some fabulous amenities that are designed to make the stays of our guests truly pleasant and memorable. We provide facilities like car wash on demand, airport and railway station transfers, sports facilities, and a multi-cuisine restaurant. Tourists staying in our resorts can also enjoy some excellent activities like water-scooter rides, scuba diving, water-skiing, and parasailing.